NICKNAME: Grigi (Grays - Club colours), Orso (Bear - Club Mascot, Alpine Brown Bears that used to live near Alessandria), Mandrogni (Nickname of the people of Alessandria). HISTORY: Founded on the 18 February 1912 as the football section of the Gymnastics Club 'Forza e Coraggio' (founded in 1907) taking the name 'Foot Ball Club Alessandria'. On the 11 April 1920 it merged with the 'Unione Sportiva Alessandrina' and adapted the name 'Unione Sportiva Alessandria' and in 1975 the name was changed to 'Unione Sportiva Alessandria Calcio'. On the 18 August 2003 the club went bankrupt and the current club was created as a direct heir to the old one with the inclusion of '1912' in the name. NATIONAL HONOURS: Coppa Coni, 1 - 1926/27. Stella d'Oro al Merito Sportivo, 1 - 1989.
from the female princess, athlete and huntress of Greek mythology). Nerazzurri (Black-Blues - Club Colours), Regina delle Provinciali (Queen of the Provincial Clubs - since they are the most to participate in the Serie A from the Provincial cities). Los Rojiblancos (The Red and Whites - Club Colours), El Atleti (From the name Atletico). 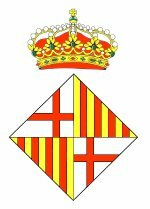 independent and in 1939 merged with 'Aviacion Nacional' of Zaragoza, recently established by the members of the Spanish Air Force, to became 'Athletic Aviacion de Madrid'. In 1947 the club decided to drop the military association from its name and the current name was established. NATIONAL HONOURS: Spanish Champions, 10 - 1939/40, 1940/41, 1949/50, 1950/51, 1965/66, 1969/70, 1972/73, 1976/77, 1995/96, 2013/14. Copa del Rey, 10 - 1960, 1961, 1965, 1972, 1976, 1985, 1991, 1992, 1996, 2013. Supercopa de Espana (Copa de los Campeones de España & Copa Eva Duarte), 4 - 1941, 1951, 1985, 2014.
INTERNATIONAL HONOURS: UEFA Cup Winners Cup, 1 - 1962. UEFA (Europa) Cup, 3 - 2010, 2012, 2018. Intercontinental Cup (FIFA Club World Championship), 1 - 1974. UEFA Super Cup, 3 - 2010, 2012, 2018. UEFA Intertoto Cup, 1 - 2007. AZZURRO RECORDS: Christian VIERI finished runner-up top scorer in the 1998 Wold Cup hosted in France and won the FIFA/Addidas Bronze Shoe Award. Michele SERENA was the first Azzurro to play with the Italian National team only from a non-Italian Club. Italy named after their poetical founder Auson, a son of Ulysses). NICKNAME: Barca (Part of the Name), Azul Grana / Blaugrana (Blue-Maroons - Club Colours), The Catalans / The Boys of Catalunya (From Catalonia - a historic region in north-east Spain of which Barcelona is the capital city). HISTORY: Founded on the 29 November 1899 as 'Foot-Ball Club Barcelona' but in the first year played mostly in England and Switzerland. In 1939 the club changed the name to 'Club de Fútbol Barcelona' until 1974 when the current name was adapted. NATIONAL HONOURS: Spanish Champions, 25 - 1928/29, 1944/45, 1947/48, 1948/49, 1951/52, 1952/53, 1958/59, 1959/60, 1973/74, 1984/85, 1990/91, 1991/92, 1992/93, 1993/94, 1997/98, 1998/99, 2004/05, 2005/06, 2008/09, 2009/10, 2010/11, 2012/13, 2014/15, 2015/16, 2017/18. Copa del Rey, 30 - 1909/1910, 1911/12, 1912/13, 1919/20, 1921/22, 1924/25, 1925/26, 1927/28, 1941/42, 1950/51, 1951/52, 1952/52, 1956/57, 1958/59, 1962/63, 1967/68, 1970/71, 1977/78, 1980/81, 1982/83, 1987/88, 1989/90, 1996/97, 1997/98, 2008/09, 2011/12, 2014/15, 2015/16, 2016/17, 2017/18. Supercopa de Espana (Copa Eva Duarte), 17 - 1945, 1948, 1952, 1953, 1983, 1991, 1992, 1994, 1996, 2005, 2006, 2009, 2010, 2011, 2013, 2016, 2018. Copa de la Liga, 2 - 1983, 1986. La Liga del Mediterraneo, 1 - 1937.
INTERNATIONAL HONOURS: UEFA Champions League, 5 - 1991/92, 2005/06, 2008/09, 2010/11, 2014/15. UEFA Cup Winners Cup, 4 - 1979, 1982, 1989, 1997. UEFA (Europa) Cup, 3 - 1958, 1960, 1966. UEFA Super Cup, 5 - 1992, 1997, 2009, 2011, 2015. Intercontinental Cup (FIFA Club World Championship), 3 - 2009, 2011, 2015. 'Laureus' World Sports Team of the Year Award, 1 - 2012. Copa Latina, 2 - 1949, 1952. Irpini - a pre Roman Civilization that lived in the Samnium area, including today's Avellino city). Civilization), Petroniani (from San Petronio - a Christian Bishop during Roman times who is the Patron Saint of the city of Bologna), Veltri (Hounds - used in 1929 by journalist Bruno Roghi for the club's stylistic play at the time, full of fluidity, accuracy and technical elegance). Sportiva' was dissolved and the club became independent again as 'Bologna Associazione Giuoco del Calcio'. In 1945, after WWII, the club changed its name back to the original 'Bologna Football Club'. On the 18 June 1993 the club was declared bankrupt but was immediately re founded with the current name. NATIONAL HONOURS: Italian Champions, 7 - 1924/25, 1928/29. 1935/36, 1936/37, 1938/39, 1940/41, 1963/64. Coppa Italia, 2 - 1969/70, 1973/74. Coppa Alta Italia, 1 - 1946. Collare d'Oro al Merito Sportivo, 1 - 2017. Stella d'Oro al Merito Sportivo, 1 - 1969. Medaglia di Bronzo al Valore Atletico, 1 - 1933.
INTERNATIONAL HONOURS: UEFA Intertoto Cup, 1 - 1998. Mitropa Cup, 3 - 1932, 1934, 1961. Anglo-Italian League Cup, 1 - 1970. Torneo dell'Esposizione di Parigi, 1 - 1937. - Club Mascot, due to similarity of the blue colours of the club shirt and the bird's feathers), Leonessa (Club Mascot - Lioness, due to the fact that since 1877 Brescia is called the Lioness of Italy after Italian poet Giosuè Carducci paid her tribute for the valiant resistance against the Austrian occupiers). AZZURRO RECORDS: Pioneer Club - Giuseppe RIZZI and Attilio TRERE' played in the first match of the Italian National team. Giuseppe RIZZI scored the first Away Goal of the Azzurri and is one of the first players to score in his debut match. AZZURRO RECORDS: The Club who gave the first scorer in Azzurro from the Serie B. Raffaele COSTANTINO was the first player to score in Azzurro from the Serie B. He formed part of the Italian National team that won the 1930 Coppa Internazionale. AZZURRO RECORDS: Corrado TAMIETTI never played with the Italian National team but formed part of the Azzurri Squad that placed first and won the Gold Medal in the 1936 Olympics Football Tournament. Giovanni AZZINI is one of only five players to play in Azzurro only from the Serie B.
Ginnastica e Scherma' (founded in 1878 and since 1913 comprising also the 'Foot Ball Club Bergamo' that was founded in 1903) under the name 'Atalanta Bergamasca di Ginnastica e Scherma'. By time the term 'Ginnastica e Scherma' in the name was changed to 'Calcio'. NATIONAL HONOURS: Coppa Italia, 1 - 1962/63. Collare d'Oro al Merito Sportivo, 1 - 2018. Stella d'Oro al Merito Sportivo, 1 - 1975. AZZURRO RECORDS: Elvio BANCHERO and Andrea VIVIANO formed part of the Azzurri Squad that finished third and won the Bronze Medal in the 1928 Olympics Football Tournament, although VIVIANO never played with the Italian National team but still formed part of the Azzurri Squad. Adolfo GIUNTOLI also never played with the Italian National team but formed part of the Azzurri Squad that placed first and won the Gold Medal in the 1936 Olympics Football Tournament. Luigi BERTOLINI formed part of the Italian National team that finished second in the 1932 Coppa Internazionale. to play with two different National Teams. AZZURRO RECORDS: Five Bologna players won the World Cup: 1934 - Eraldo MONZEGLIO, Angelo SCHIAVIO; 1938 - Michele ANDREOLO, Amedeo BIAVATI, Carlo CERESOLI. Mauro BELLUGI formed part of the Azzurri Squad that finished fourth in the 1978 World Cup. Giacomo BULGARELLI and Aristide GUARNERI formed part of the Azzurri squad that won the 1968 European Nations Championship, whilst Alessandro DIAMANTI formed part of the Azzurri Squad that finished Runner-Up European Champions in 2012. Two Bologna players formed part of the Azzurri squad that finished third in the FIFA Confederations Cup 2013: Alessandro DIAMANTI, Alberto GILARDINO. Four Bologna players won the Olympic Bronze Medal after the Azzurri finished third in the 1928 Olympics Football Tournament: Felice GASPERI, Pietro GENOVESI, Alfredo PITTO and Angelo SCHIAVIO, whilst Lamberto PETRI never played with the Italian National team but formed part of the Azzurri Squad that placed first and won the Gold Medal in the 1936 Olympics Football Tournament. Seven Bologna players won the Coppa Internazionale: 1930 - Pietro GENOVESI, Eraldo MONZEGLIO, Alfredo PITTO, Angelo SCHIAVIO; 1935 - Giordano CORSI, Eraldo MONZEGLIO, Angelo SCHIAVIO. Six others formed part of the Azzurri squad that finished runner-up in the 1932 Coppa Internazionale: Francesco FEDULLO, Felice GASPERI, Mario GIANNI, Eraldo MONZEGLIO, Alfredo PITTO and Raffaele SANSONE. Angelo SCHIAVIO was the Runner-up Top Scorer of the 1934 World Cup and became the first European player to score the winning goal in a World Cup final. He scored the first Italian goal in a World Cup final stage match and is the first Italian player to score four goals in one World Cup edition. Giacomo BULGARELLI scored more goals than he played matches in the 1962 World Cup edition (2 goals in 1 match). At 32 years, 3 months, 27 days Carlo REGUZZONI is the fifth oldest player to make his debut in Azzurro and Michele ANDREOLO is the Italo-Uruguaian Oriundo to play most games in Azzurro. 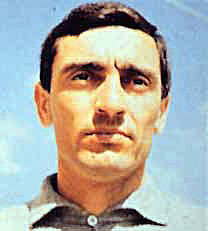 Ettore PURICELLI is the only Italo-Uruguaian/Argentine Oriundo to play in Azzurro. Federal Republic of Germany, the capital of which is Munich). NICKNAME: Der FCB (The FCB - Name Abbreviations), Die Bayern (The Bavarians - People from Bavaria), Die Roten (The Reds - Club Colours). HISTORY: Founded on the 27 February 1900 at the 'Café Gisela' by members of the 'MTV 1879 München' as this club was concentrating more on Gymnastics rather than football. It passed through a very difficult period during the Nazi years after being taunted as the "Jew's club". After the Second World War the club managed to regroup and continue its work. 1973/74, 1979/80, 1980/81, 1984/85, 1985/86, 1986/87, 1988/89, 1989/90, 1993/94, 1996/97, 1998/99, 1999/2000, 2000/01, 2002/03, 2004/05, 2005/06, 2007/08, 2009/10, 2012/13, 2013/14, 2014/15, 2015/16, 2016/17, 2017/18. German Cup, 18 - 1957, 1966, 1967, 1969, 1971, 1982, 1984, 1986, 1998, 2000, 2003, 2005, 2006, 2008, 2010, 2013, 2014, 2016. German League Cup, 6 - 1997, 1998, 1999, 2000, 2004, 2007. German Super Cup, 7 - 1987, 1990, 2010, 2012, 2016, 2017, 2018.
INTERNATIONAL HONOURS: UEFA Champions League, 5 - 1974, 1975, 1976, 2001, 2013. UEFA Cup Winners Cup, 1 - 1967. UEFA (Europa) Cup, 1 - 1996. UEFA Super Cup, 1 - 2013. Intercontinental Cup (FIFA Club World Championship), 3 - 1976, 2001, 2013. 'Laureus' World Sports Team of the Year Award, 1 - 2014. 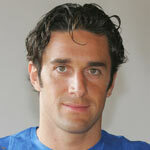 AZZURRO RECORDS: Luca TONI is one of only twelve Azzurri players who scored in the first minute of an Azzurro match and the only one to do so from a non-Italian club. LEGEND OF LISTS: Number of Games / Goals / Captained Games, Surname, Name, Position, Year of first game in Azzurro from the Club. POSITIONS: G - Goalkeeper, D - Defender, M - Midfielder, A - Attacker. UNUSED CALL-UPS: Statistics covered only from Azzurro Game 299 (25 September 1971) till TODAY. It includes also the Squads for the World Cups: 1970, 1966, 1962, 1954, 1950, 1938, 1934; European Nations Cup: 1968; Olympic Games Football Tournaments: 1952, 1948, 1936, 1928, 1924, 1920, 1912. The Players displayed for each club are not necessary the best or most memorable players from the club, but statistically they are the main players. Displayed are mainly, the first players to play in Azzurro, score in Azzurro and Captain the Azzurri from the club and the players who played the most in Azzurro, scored most in Azzurro and Captained most the Azzurri from the Club. Where space permitted other significant statistical players from the club were displayed. great Genoese condottiero and admiral who lived between 1466 and 1560). first Azzurro Captain to lead the Italian National team in a away match and the first of only four players to lead the Azzurri as Captain in his debut match. Dilettantistica Corniglianese 1919' (founded in 1919) to create the 'Associazione Calcio Liguria'. But a year later 'Liguria' was disbanded again by the Fascist Regime as a failed project and the three original clubs (Andrea Doria, Sampierdarenese and Corniglianese) were again re founded, each club going its separate way. Andrea Doria was re founded as 'Associazione Calcio Andrea Doria' with the return of their ex players who had rebelled in 1927 and re founded the 'Unione Sportiva Alessandro Volta' (originally founded pre1920's) who as a result seized to exist. The Club was disbanded in 1940 due to WWII but was re founded again in 1944 with the original name 'Società Ginnastica Andrea Doria'. However due to the reorganization of the 1946/47 Serie A after WWII, Andrea Doria found themselves ineligible to play in the Serie A whilst Sampierdarenese had dire financial problems. Thus on the 12 August 1946, the two football sections of the 'Società Ginnastica Andrea Doria' and 'Società Ginnastica Comunale Sampierdarenese' merged once again to form the 'Unione Calcio Sampdoria', a club that still exists today. The 'Società Ginnastica Andrea Doria' however continued until today practicing the sports of Gymnastics, swimming, tennis, bowling and martial arts including savate, judo, karate, kendo and aikido. to the 'Borussia' beer whose brewery was nearby). NICKNAME: Die Borussen (The Prussians - People from Prussia), Die Schwarzgelben (The Black-Yellows - Club Colours), Der BVB (The BVB - Name Abbreviations as shown on the club's coat-of-arms). priest Fr Dewald, who also tried to break up the founding organizing meeting of the club. In 1929 the club was saved from bankrupt by an ex President of the club and local supporters after they modernized their stadium and tried to sign professional players. In the 1930's, during the Nazi era their president was replaced when he refused to join the Nazi Party and a couple of members were executed when caught producing anti-Nazi pamphlets in the clubs offices. After World War II, during the Allied occupation, the club was dissolved and an attempt was made to merge it with two other clubs – 'Werksportgemeinschaft Hoesch' and 'Freier Sportverein 98' to create the new club 'Sportgemeinschaft Borussia von 1898', but when in 1949 the national league restarted the former club was re-established with the name 'Ballspiel-Verein Borussia (BVB)'. NATIONAL HONOURS: German Champions, 8 - 1955/56, 1956/57, 1962/63, 1994/95, 1995/96, 2001/02, 2010/11, 2011/12. German Cup, 4 - 1964/65, 1988/89, 2011/12, 2016/17. German Super Cup, 5 - 1989, 1995, 1996, 2013, 2014.
INTERNATIONAL HONOURS: UEFA Champions League, 1 - 1997. UEFA Cup Winners Cup, 1 - 1966. Intercontinental Cup (FIFA Club World Championship), 1 - 1997. 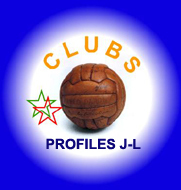 (The Purple and Whites - Club Colours), Sporting (Part of the Name), RSCA (Name Abbreviations). HISTORY: Founded as 'Sporting Club Anderlechtois' on 27 May 1908 by a dozen football lovers at the Concordia café. In 1933 they changed their name to the current one. 1953/54, 1954/55, 1955/56, 1958/59, 1961/62, 1963/64, 1964/65, 1965/66, 1966/67, 1967/68, 1971/71, 1973/74, 1980/81, 1984/85, 1985/86, 1986/87, 1990/91, 1992/93, 1993/94, 1994/95, 1999/2000, 2000/01, 2003/04, 2005/06, 2006/07, 2009/10, 2011/12, 2012/13, 2013/14, 2016/17. Belgian Cup, 9 - 1964/65, 1971/72, 1972/73, 1974/75, 1975/76, 1987/88, 1988/89, 1993/94, 2007/08. Belgian League Cup, 1 - 1999-00. Belgian Super Cup, 13 - 1985, 1987, 1993, 1995, 2000, 2001, 2006, 2007, 2010, 2012, 2013, 2014, 2017.
INTERNATIONAL HONOURS: UEFA Cup Winners Cup, 2 - 1975/76, 1977/78. UEFA (Europa) Cup, 1 - 1982/83. UEFA Super Cup, 2 - 1976, 1978. Benevento is the meeting place of witches), Giallorossi ( Yellow-reds - club colours), Sanniti (from Sanniti - a pre Roman Civilization that lived in the Samnium area, including today's Benevento city). the name was changed back to 'Società Sportiva Ascoli'. In 1945, after WWII, all theclubs of Ascoli Piceno were integrated into the re founded club as 'Associazione Sportiva Ascoli'. In 1955 the Club was saved from bankruptcy by the merger with the club 'Società Sportiva Lillo Del Duca', thus forming 'Associazione Sportiva Del Duca Ascoli' but in 1972 the name was changed to 'Ascoli Calcio 1898'. In 2014 the Club was declared Bankrupt and re founded on the 13 May 2014 with the name 'Ascoli Picchio F.C. 1898'. On the 18 July 2018 the name was again changed to the current one. INTERNATIONAL HONOURS: Mitropa Cup, 1 - 1986/87. The Red Leaf Cup, 1 - 1980.
football section of the 'Società Sportiva Pro Gorla' under the name 'Società Sportiva Pro Gorla Sezione Calcio Ausonia', better known as 'Ausonia Pro Gorla', however the club was still unsuccessful. In 1921 'Pro Gorla' seized to exist due to financial problems and thus it was decided to merge 'Ausonia' with the club 'Ardita Football Club' under the name 'Ardita Ausonia Football Club'. However again the club was not very successful and finances were getting worst. Thus after the 1924/25 season the club was dissolved. 'Federazione Sportiva Avellino' and in 1937 to 'Gioventù Universitaria Fascista Avellino'; until they were dissolved in 1938. They were re founded in 1940 as 'Costanzo Ciano Avellino' but changed the name to 'Gioventù Italiana del Littorio Avellino' in 1942. In 1944 at the end of WWII they changed the name to 'Unione Sportiva Avellino'. In 2009 the club was declared bankrupt but was immediately re founded as 'Avellino Calcio.12 Società Sportiva Dilettantistica', but a year later they changed the name to 'Associazione Sportiva Avellino 1912' and in 2015 again to 'Unione Sportiva Avellino 1912'. In 2018 the club was disbanded for financial reasons but was immediately re founded with the current name. HONOURS: Stella d'Oro al Merito Sportivo, 1 - 1979. (founded in 1909) and 'Unione Sportiva Ideale' (founded in 1908) under the name 'Unione Sportiva Bari'. After WWII, on the 1 January 1945 the name was changed to 'Associazione Sportiva Bari' but on the 10 March 2014 the club was declared bankrupt and on the 23 May 2014 the club was re founded as 'Football Club Bari 1908'. On the 16 July 2018 the club was disbanded again for financial reasons, but on the 9 August 2018 it was re founded with the current name. NATIONAL HONOURS: Stella d'Oro al Merito Sportivo, 1 - 1978.
INTERNATIONAL HONOURS: Mitropa Cup, 1 - 1990.
financial problems and everything the club possed was inherited by another club, the 'Associazione Calcio Sanvito Benevento' who continued where the original club had left. In 1962 the club merged with 'Associazione Sportiva Benevento' to create the 'Società Sportiva Benevento', however in 1965 the club merged again, this time with 'Fiamma Sannita' to create the 'Polisportiva Benevento'. In 1978 the club was declared bankrupt but was immediately re founded as 'Società Sportiva Calcio Benevento' and in 1990 the name was changed to ' Football Club Sporting Benevento'. In 2005 it was declared bankrupt again but was immediatly refounded with the current name. merger of 'Club Forti e Liberi Brescia' (founded in 1907) and 'Club Sportivo Brixia' (founded in 1908). On the 17 July 1911 the club merged with 'Unione Sportiva Bresciana' and 'Gymnasium Brescia' (both founded in 1908) to became 'Foot Ball Club Brescia'. In 1936 the club changed its name to 'Associazione Calcio Brescia' and in 1976 the name was changed again to the current one. NATIONAL HONOURS: Stella d'Oro al Merito Sportivo, 1 - ? I NTERNATIONAL HONOURS: Anglo-Italian Cup, 1 - 1994. Coppa dell' Amicizia Italo-Svizzera, 1 - 1967.